We’ve had a lot of fun with this series! Hope you enjoyed it too. Happy Election Day! Women in Congress has a more detailed entry on Smith and her many achievements. 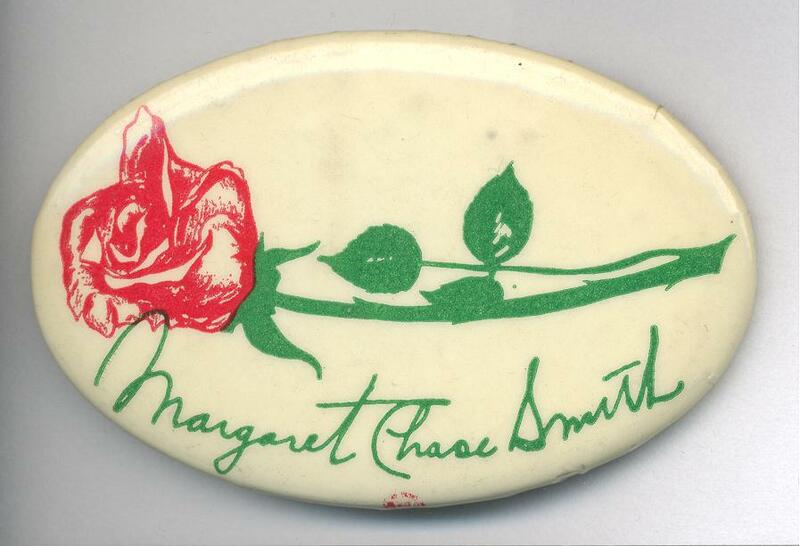 The rose that Smith wore daily in her lapel was emblematic of her long crusade to have the rose declared the official flower of the United States. Her efforts were initially thwarted by Senate Republican Leader Everett M. Dirksen, who supported the marigold. It was not until 1987, long after Senator Smith’s retirement, that Congress finally designated the rose as the national flower. Click here for the first entry in this series. And if there’s a campaign button you’d like to see, let us know in the comments. If we have it, we’ll post it tomorrow in celebration of Election Day! Here at USCHS, we’re fond of Washington Rep. 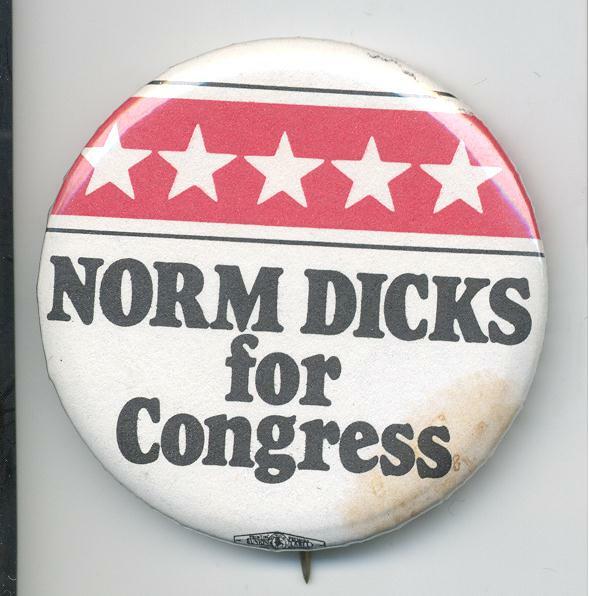 Norm Dicks, not least because he has spoken at several of our youth forums (when local high schoolers come to the Capitol and hear/question members of Congress and staffers). Looking at this button, I realized that surprisingly few of the buttons we’ve included in this series feature stars. Maybe that’s the question for the next election cycle: iconography. 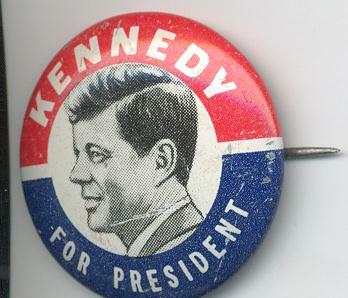 How do button designers signify patriotism, etc.? Click here for the first post in this series. 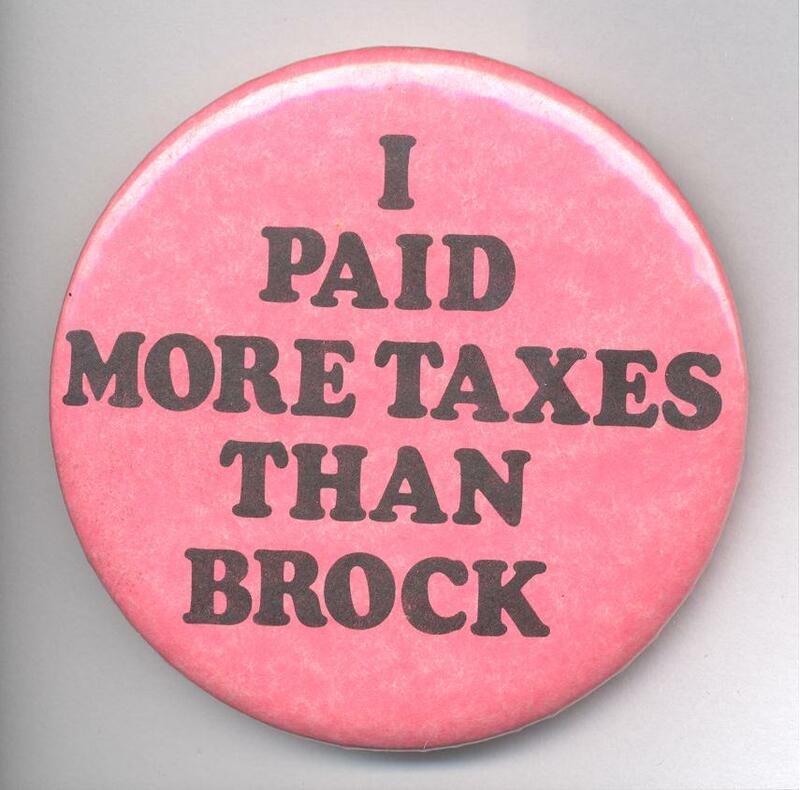 This button is a recent addition to our collection and arrived without identifying the campaign from which it came, so we had to do a little work to figure out what it was about. Bluenc.com seems to have the answer. Jim Sasser won the election and served three terms before losing to Bill Frist in 1994. He was ambassador to China under Bill Clinton from 1995 to 2001. It’s safe to say that no other 20th-century political family captured the nation’s attention and imagination the way Kennedys did. 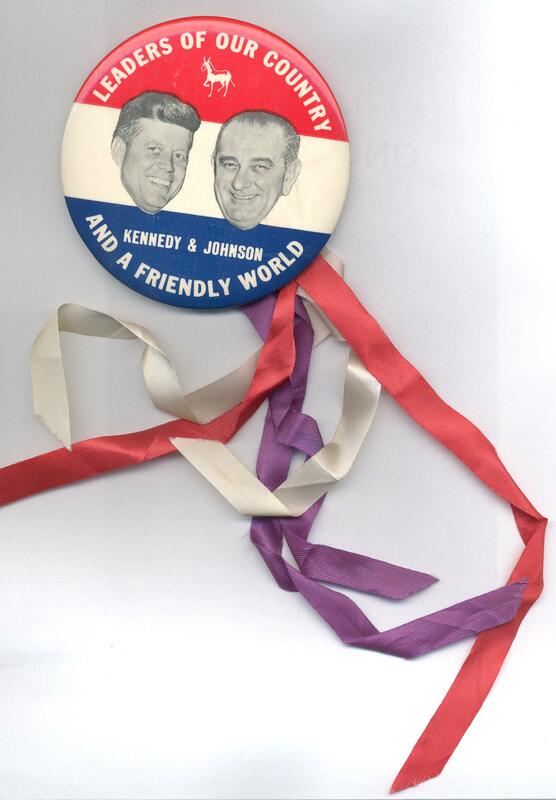 (OK, maybe the Roosevelts, but we don’t have any of their campaign buttons.) 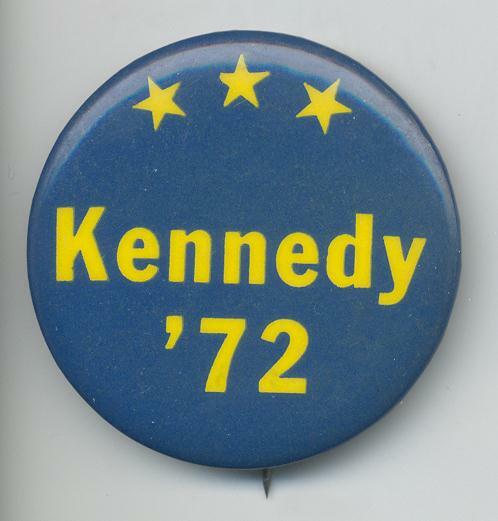 We have buttons from the famoed Kennedy brothers who served in Congress (but none from the men in the next generation who served). Edward (Ted) Kennedy wasn’t the first Kennedy to come to Congress, but he was there the longest. 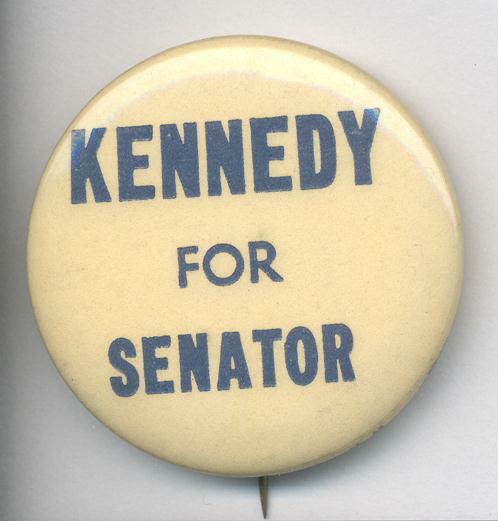 Ted represented Massachusetts in the Senate (having won a special election to replace his brother when JFK moved to the executive branch) from 1962 until his death in 2009. Robert (Bobby) Kennedy had the shortest congressional career. He didn’t arrive in the Senate until 1965, representing New York, after his work as attorney general in his bother’s and Lyndon Johnson’s administrations. While in the midst of his first term, he ran for the Democratic nomination for president and was assassinated after a campaign event in Los Angeles in 1968. Finally, John F. Kennedy represented Massachusetts in the House from 1947 to 1953 and in the Senate from 1953 to 1960, when he resigned because he had won the 1960 presidential election. He was assassinated in Dallas in 1963. The button to the left is one of the smaller buttons in our collection, while the larger one below has had red, white, and blue ribbons attached. Nearly 20 Kennedys have served in Congress since the 18th century, most of them not immediately related to this family. However, there have been two Williams, two Roberts, three Johns, and two Ambroses. None of the men who share names were related. 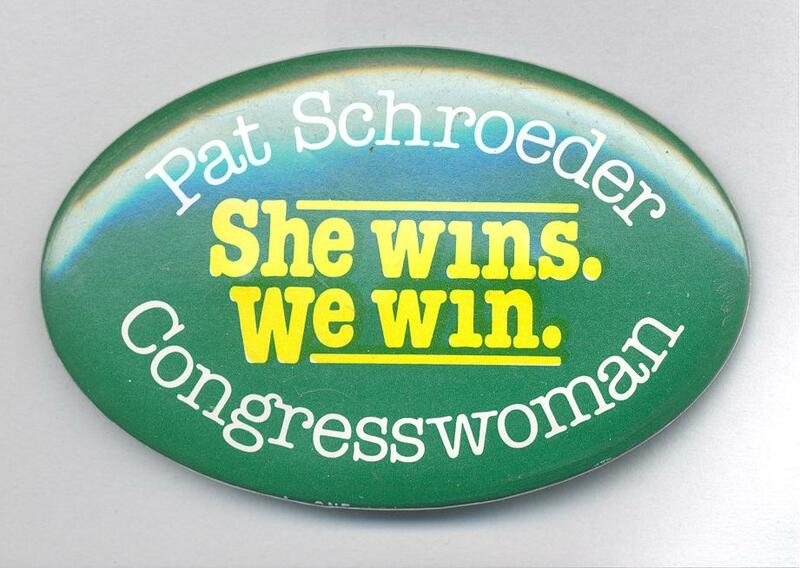 Pat Schroeder was the first woman Colorado sent to Congress; when she arrived in 1973, only 14 women served in the House. (Now there are 17 just in the Senate.) Both by her presence and her legislative interests and agenda, Schroeder worked on women’s rights and issues affecting families. She also served on the Armed Services Committee throughout her time in Congress, which ended with her retirement in 1997. Schroeder never shied away from the spotlight; the Women in Congress entry on her includes many of the outrageous comments directed at Schroeder as well as her own blunt words. My personal favorite among Schroeder’s many accomplishments: passing the Family and Medical Leave Act in 1993. Recently, we had some posts about the Congressional Baseball Game, within which there was mention of Wilmer “Vinegar Bend” Mizell. Mizell, a pitcher, had played for the Cardinals, Pirates, and Mets during his major league career. His nickname had nothing to do with his pitching styles; instead, it referred to the small Alabama town of his birth. Mizell represented North Carolina in the House from 1969 until 1975. Obviously, his campaign felt his baseball background helped him with voters. He, like Joel Broyhill, was a victim of the anti-Watergate 1974 election, but Mizell went on to serve in the Ford and Reagan administrations. 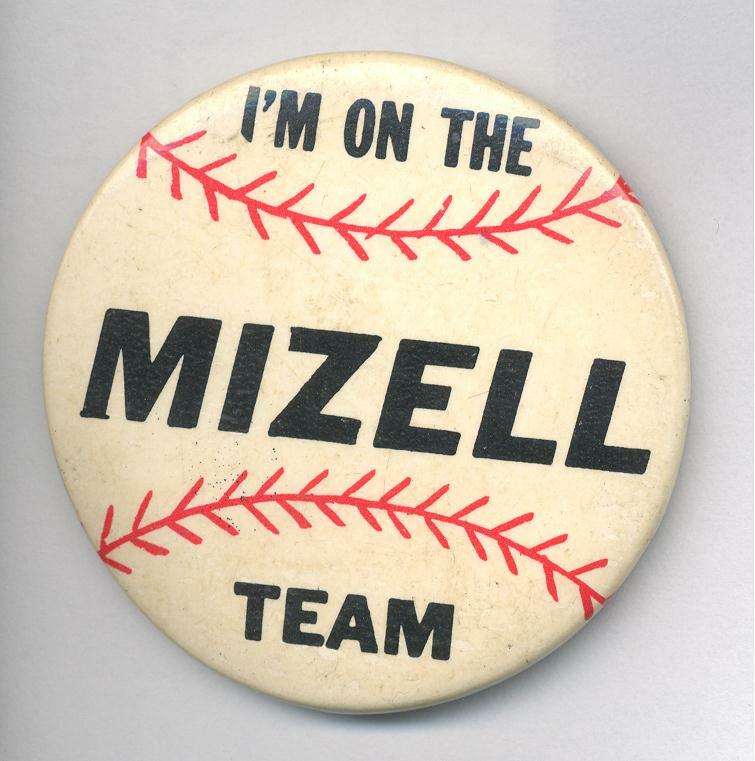 After pitching a few innings and striking out seven consecutive batters in the 1969 congressional game, Democrats protested and insisted that [Mizell] play a different position. Today we continue honoring (embarrassing?) USCHS folks. Next up: USCHS board chairman Tom Coleman. 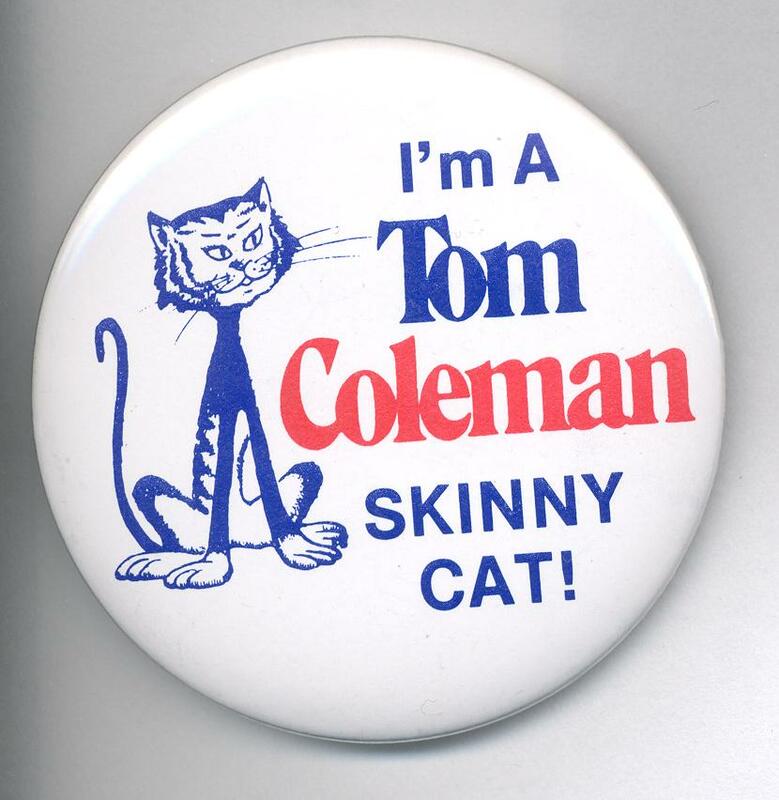 We’re honored by all Coleman does for us, but that doesn’t stop us from showing you this: If we ever get back to the office, we’ll ask him if he remembers what this declaration means. The story behind it is as follows: During a period of time when the press was making a big deal about candidates getting large contributions from wealthy individuals (known as fat cats) we decided that we would go against the grain with our Skinny Cats who would attend our low budget ($10) events. It was a way to differentiate my candidacy from the rest. 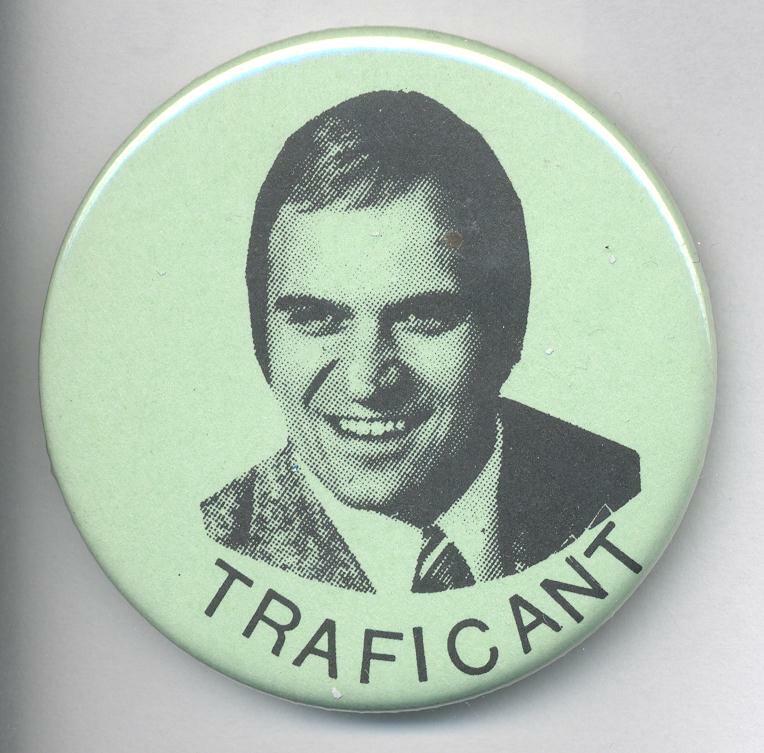 People really took to it and wore the buttons with pride. Coleman was a member of the House representing Missouri from 1976 to 1993. 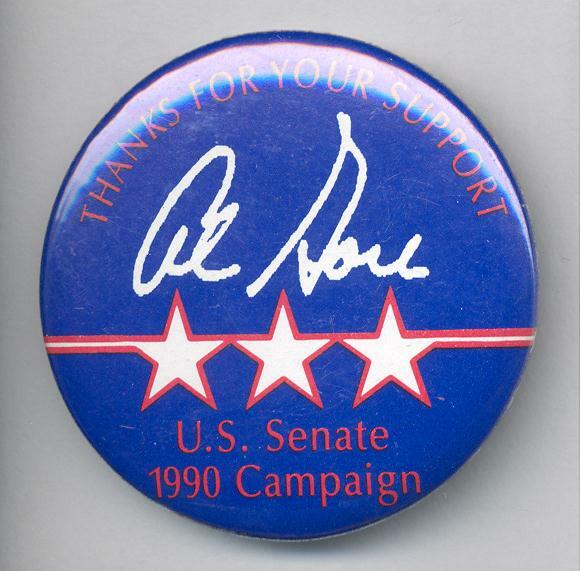 Congressional Campaign Buttons: Size Matters? Regarding fast food and many other items for sale, bigger is better. 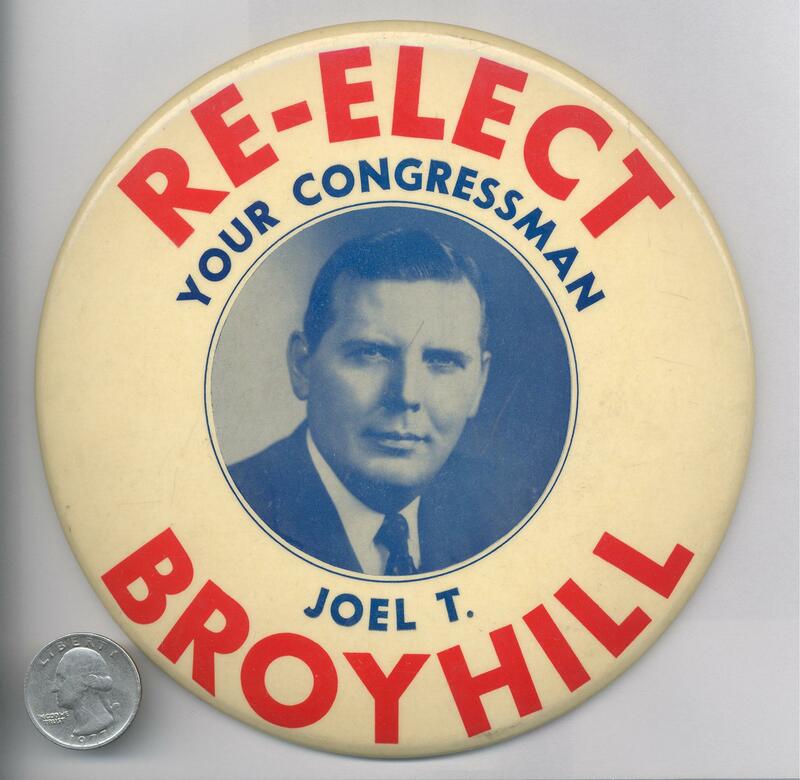 That mantra seems to be at work with this button for Joel Broyhill‘s campaign, the largest in our collection. Broyhill’s an interesting and complicated character. He served in the House, representing a Virginia suburb of Washington, DC from 1953 through 1974. He lost his re-election battle in 1974, perhaps in part because of his opposition to integration, which included a recommendation that the District re-segregate its schools; the campaign was certainly affected by the anti-Republican feelings running strong in the aftermath of Watergate. Broyhill was, however, also renowned for responding quickly and effectively to constituent requests. During WWII, he was captured by the Germans and held for 6 months before he escaped and rejoined the fighting. NOTE: If you’re located on the US east coast, you may have heard a thing or two about this giant storm that’s rolling into town, sweeping election coverage off the front pages at last. I’m going to try to keep this daily series going, but we’ll have to go dark once the power’s out and internet access is gone. Al Gore represented Tennessee in the House and in the Senate. That statement is true whether you’re talking about Gore the father or Gore the son. Each man served in the House first (Sr. from 1939-1952 and Jr. from 1977-1984) and then was elected to Senate. The elder Gore served in the Senate from 1953 to 1970; the younger Gore, from 1985-1992. 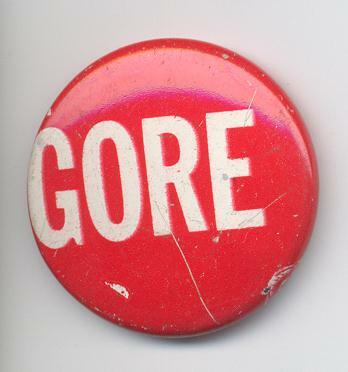 The red button is from one of Gore Sr.’s campaigns; the blue one was for supporters of Gore Jr.